In the seventh in this series looking at measuring success in beef, we look at how with beef at the core of what McDonald’s does, the company is determined to use its position as one of the largest purchasers of beef globally to help drive meaningful change when it comes to sustainability across the whole supply chain. Alice Willett, McDonald’s agriculture consultant (sustainable sourcing), says the company takes seriously its responsibility to help lead the industry toward more sustainable production practices. And as one of the world’s biggest buyers of beef, McDonald’s has a global desire to help make improvements in the global supply chain. 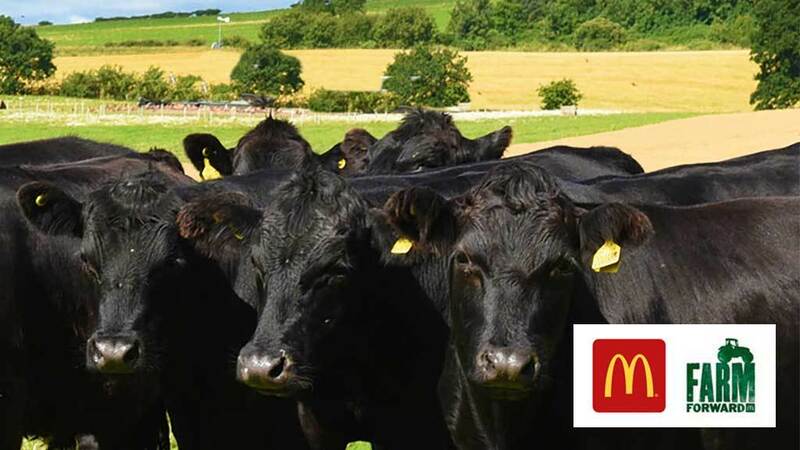 In order to make this relevant to UK and Irish beef producers, McDonald’s is one of the stakeholders in the recently launched European Roundtable for Beef Sustainability (ERBS). Sarah Haire, group agriculture manager for Dawn Meats, which works closely with McDonald’s and is also involved in the ERBS, explains that everyone involved in the roundtable is working towards a common goal: improving sustainability across all aspects of the supply chain, from field to fork. The group’s initial discussions around the topic of beef sustainability identified a set of 39 principles, from water quality to worker rights, but in order to achieve change on the ground, it was decided to focus on four key priorities areas, rather than trying to tackle everything at once. Mrs Haire says: “Following discussions with more than 150 stakeholders, it was announced last year that the ERBS will focus on four key priority areas; environment [greenhouse gas emissions], animal health and welfare, animal medicines and farm management. The ERBS will monitor progress made in these key priority areas through eight outcome-based targets, which are currently out for consultation. Mrs Haire says while some of the detail of these targets was still being finalised, it was expected they will include the responsible use of antibiotics in line with RUMA recommendations, a 15 per cent reduction in greenhouse gas farm emissions by 2025, increased use of pain relief (analgesics) in animals when castrating, dehorning and disbudding, a focus on farm health and safety and business planning. Mrs Haire explains movement towards these goals will help beef farming businesses across Europe work towards sustainability which is relevant to local conditions. But what does this mean for beef farmers in the UK and Ireland? Mrs Haire says while farmers may see some of these outcome-based targets as adding additional financial costs and time burdens to their businesses, the benefits should also be taken into consideration. When it comes to farm management, the outcome targets will be a reduction in serious accidents and financially viable farms that have a business plan in place. Mrs Haire says: “The ongoing challenge to the sector from injury or death cannot be ignored, and while an overall target of zero serious accidents is almost impossible, we want to work with campaigns to help raise awareness. The ERBS wants each country to take ownership of how it works with farmers to meet these outcome targets, and it is hoped they will be achieved in collaboration with existing national programmes, schemes and initiatives.